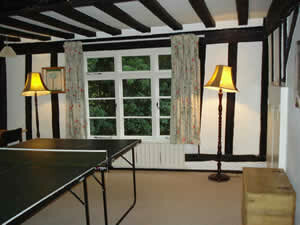 Toad Hall is a spacious Grade II listed timber framed house, complete with Inglenook fireplace and a wealth of exposed timbers in its interior. Set in two acres of garden in the beautiful Suffolk countryside, it is within two hours drive from London, near the Heritage Coast and the ancient town of Woodbridge on the River Deben with its restaurants, pubs and antique shops. Horse riding is just along the lane and golf, fishing, sailing etc. are a short drive away. 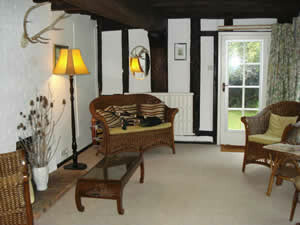 This spacious English country cottage is centrally heated and also has a log burning stove in one of the sitting rooms. 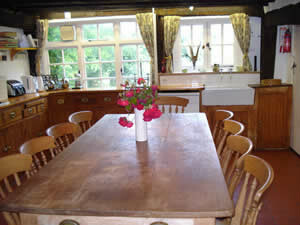 The living accommodation comprises two sitting rooms and a games room (with a table tennis table), with 3 TVs/DVDs and an ipod/phone docking sound system, a large well-equipped farmhouse style kitchen with double oven, microwave and dishwasher and walk in larder with freezer, large sitting hallway, utility room with washing machine and dryer and large overflow fridge, downstairs WC and entrance boot room. There are two staircases. You should be warned that it is an old house and the staircases, whilst delightful for most, are possibly steeper than you may be used to and may not be suitable for someone with a disability (one of the single bedrooms is however on the ground floor with shower room opposite). The house has six bedrooms - three doubles, two twins and one single, to sleep eleven people comfortably); there are three bath/shower rooms, one of which is en-suite. 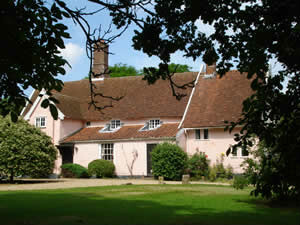 Outside, the 2 acres of grounds include a mixture of lawn, trees and shrubs, together with a pond and 'secret' garden. Toad Hall lies in the heart of the beautiful Suffolk countryside near to the coast and the ancient town of Woodbridge on the River Deben with its fine restaurants and antique and book shops. 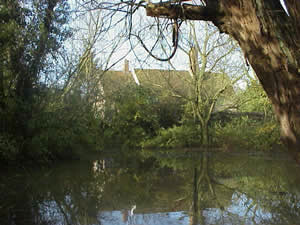 The area is full of villages, pubs and sites of interest and activities (riding, golf, fishing, etc) for adults and children. Sutton Hoo burial ship. Mechanical music museum. Bury St Edmunds. Ickworth Historic Italien House and gardens. Lakes and walks in huge forests. Many excellent good food pubs in the area including within walking distance. 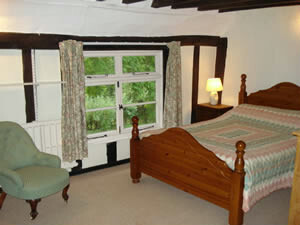 Weekends and Short Breaks subject to availability. Enquire after easter for Christmas and New Year prices and availability.